MapleStory 2 is on its way to Closed Beta, and we want your help to spread the word with the Road Trip to Closed Beta event! Over the next three weeks, special events will unlock with unique prizes for both Closed Beta and for when MapleStory 2 officially launches! By sharing news about the beta sign-up, introducing yourself to the rest of the growing MapleStory 2 community, and taking some fun quizzes in the build up to the Closed Beta, you'll be able to earn great rewards! 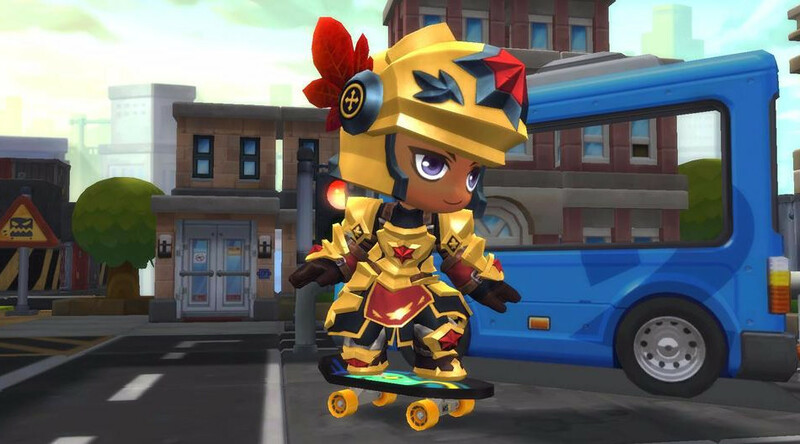 Get yourself a full suit of Maple-themed armor, a snazzy pair of sunglasses, and a skateboard you can use to cruise through Maple World in style! Activities will unlock periodically over the next few weeks, featuring a different prize for each task. And if the MapleStory 2 community as a whole completes 200,000 total activities, then everyone that helped us reach that milestone will earn the special Emote: CBT Celebration! These rewards will be yours for Closed Beta and when MapleStory 2 officially launches, so head to the Road Trip to Closed Beta event page to get started! You have until 2:59 PM PDT on May 6th, 2018 to complete your activities, so don't put it off for long!